Bill Nye Saves the World is a late-night-style talk show hosted by Bill Nye that explores science and how it intersects with politics, pop culture and society. Each episode tackles a topic from a scientific point of view, debunking myths and dinging anti-scientific claims espoused by politicians, religious leaders and/or titans of industry. This season’s guests include Arnold Schwarzenegger, Karlie Kloss, and Paul F. Tomkins, along with the return of Michael Ian Black for his signature “Mad Scientist” segment. 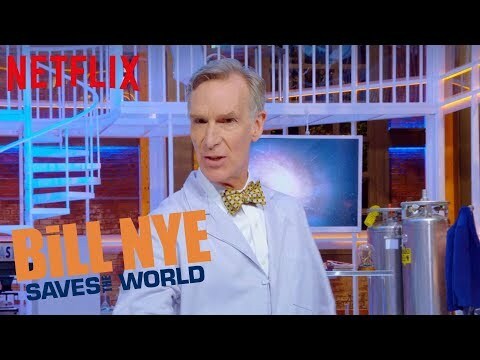 Bill Nye Saves the World Season 3 was released on Netflix 343d ago in the US and the UK. Notify me when Bill Nye Saves the World Season 3 is available.